Not to be confused with Chinese Skullcap (Scutellaria baicalensis), American Skullcap has entirely different medicinal properties than its Eastern counter-part. Most likely to be found growing along the damp banks of streams and thickets in North America, Skullcap is a useful herb for what traditional eclectic practitioners would call “nervous tension” and possibly other nervous conditions such as insomnia, epilepsy, delirium tremens, hysteria, anxiety and barbiturate/ tranquilizer withdrawal. From the Lamiaceae family (Mint family), it can be distinguished by the characteristic square, hollow stem and small helmet-shaped blue flowers blooming in early summer, and growing up to 2-4 feet in height. Not to be confused with Chinese Skullcap (Scutellaria baicalensis), American Skullcap has entirely different medicinal properties than its Eastern counterpart. Like most herbs, a “cocktail” of phytoconstituents works together to create a certain set of actions on the human body, rather than just one or two “active constituents”. Skullcap contains the flavonoids baicalin, wogonin, scutellarin, methoxyflavone, and catalpol, as well as various other components. These flavonoids are thought to be in part responsible for the general sedating effect often experienced after taking the herb, as they may act as GABA agonists. Additionally, these components bind to serotonin receptors in the body – the collective effect is of a mild sedative and anxiolytic (something to “calm the nerves”)1,2. 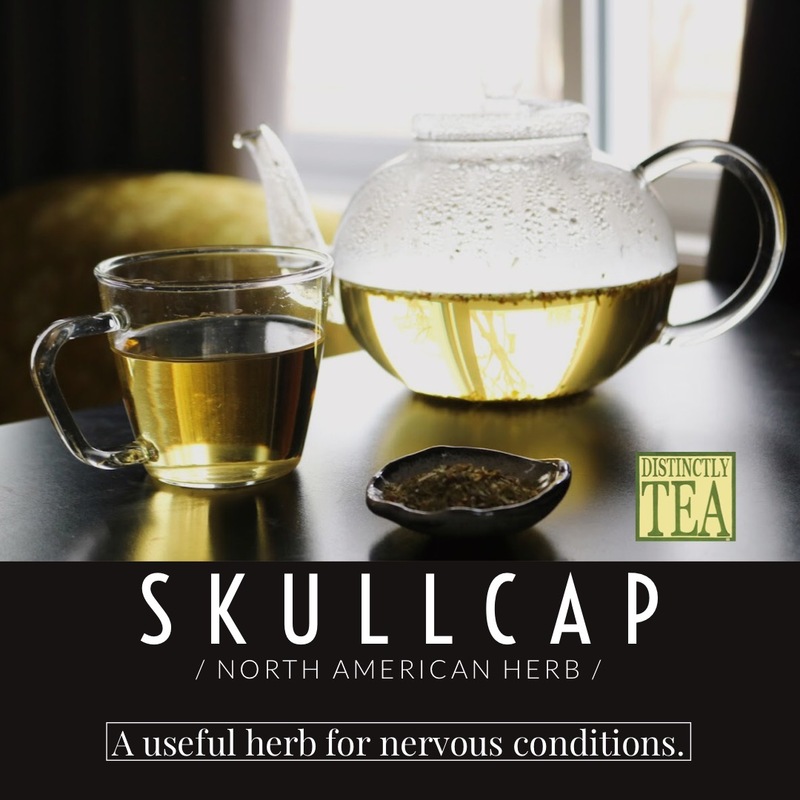 Most commonly skullcap is given for nervousness, either post illness or due to mental or physical exhaustion. Not surprisingly, it is also frequently taken for insomnia due to mental over-activity (picture the restless type who is over-worked and cannot “shut off” at night). Indeed, one of the few double-blind, placebo-controlled studies available on Skullcap showed that the herb did have a “noteworthy” anxiolytic effect on healthy volunteers3. In addition, Skullcap was used traditionally for muscular fasciculations (that twitching eye!) that can occur with fatigue or simply due to muscle spasms, as well as delirium tremens and other tremors, chorea, neuralgia and as a seizure remedy. Although there is little scientific evidence to support the use of Skullcap for the prevention and treatment of either grand mal or petit mal seizures, rats with induced epilepsy given a combination of Skullcap, Jimson Weed (Datura stramonium) and Gelsemium (Gelsemium sempervirent) did not experience seizures so long as they continued to take periodic doses4. According to a recent study, some of the phytoconstituents of Skullcap display alpha-glucosidase inhibitory properties (limiting the amount of sugar that is broken down to glucose) suggesting that it could be useful in treating diabetes5. Another 2012 study using mice given Skullcap as a tea showed that the herb may show promise as a potential therapeutic agent in treating Alzheimer’s Disease, Parkinson’s Disease and other progressive neurodegenerative diseases6. In Native American folk medicine, Skullcap was also used as both an emmenagogue (to induce menstruation) and as a diuretic (to induce urination). Historically it may have been used to help treat rabies (hence “Mad dog weed”), sore throats, nervous headaches and to calm a teething child (much like Chamomile is used). 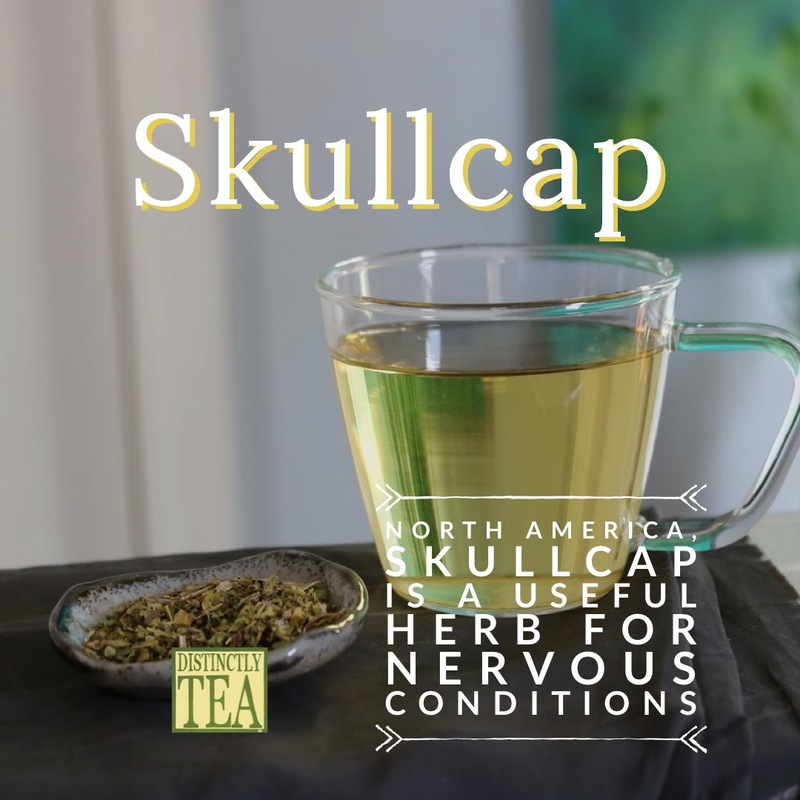 To use Skullcap as a tea, add 1-2 grams of the dried root to 1 cup of boiling water and let steep for 10 -15 minutes. 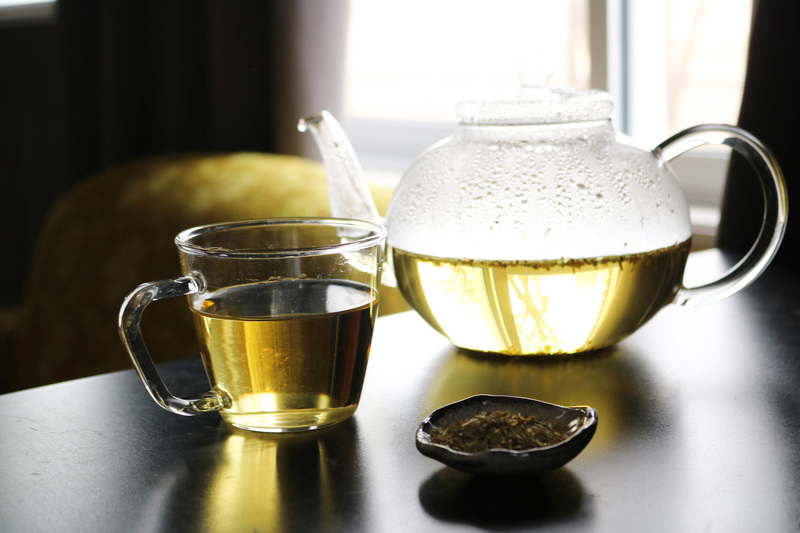 For nervousness and anxiety 3-6 cups per day can be consumed in the short term (if health is generally good), otherwise 1-3 cups per day should suffice to relax in the evening. GENERALLY A SAFE HERB, THE ACTIVE CONSTITUENT OF SKULLCAP, SCUTELLARIN, CAN CAUSE GIDDINESS, STUPOR, LIMB TWITCHING, SEIZURE AND INTERMITTENT PULSE IN HIGH DOSES. 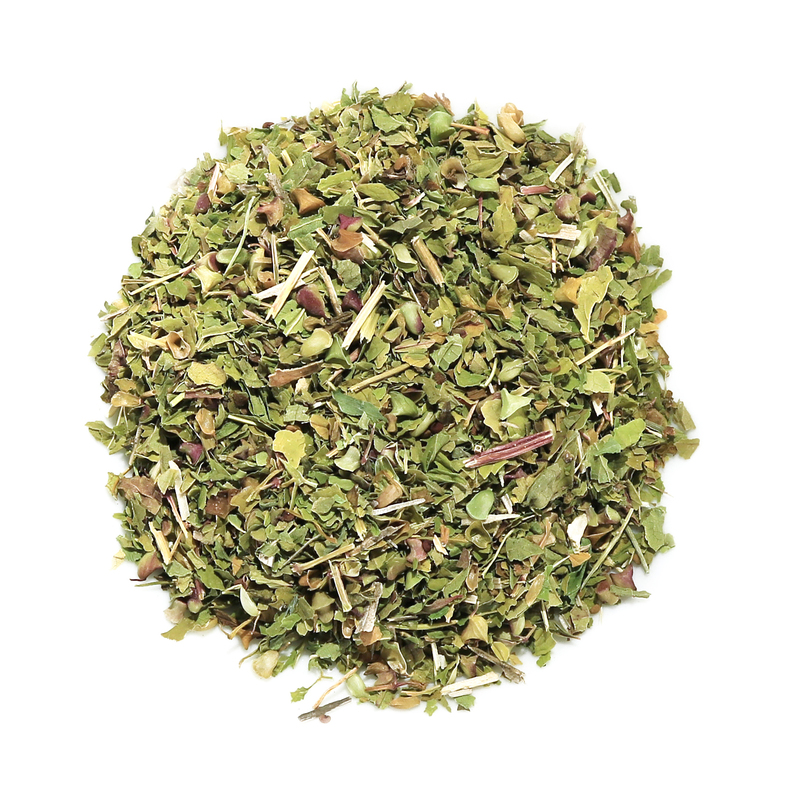 AN OVERDOSE OF THE HERB CAN ALSO CAUSE TREMORS AND POTENTIALLY LIVER TOXICITY. AVOID TAKING SKULLCAP DURING PREGNANCY AS IT COULD INDUCE MISCARRIAGE. USE CAUTION, OR AVOID, COMBINING SKULLCAP WHILE TAKING ANTIDEPRESSANT MEDICATION, HYPNOTICS, BARBITUATES, SLEEPING MEDICATION OR OTHER ANXIOLYTICS AS THERE IS THE POTENTIAL FOR INTERACTION. CONSULT WITH A NATUROPATHIC DOCTOR, DOCTOR OF CHINESE MEDICINE OR HERBALIST BEFORE TAKING SKULLCAP AS IT MAY NOT BE SUITABLE FOR EVERYONE. For educational purposes only. This information has not been evaluated by the Canadian Food & Drug Administration.